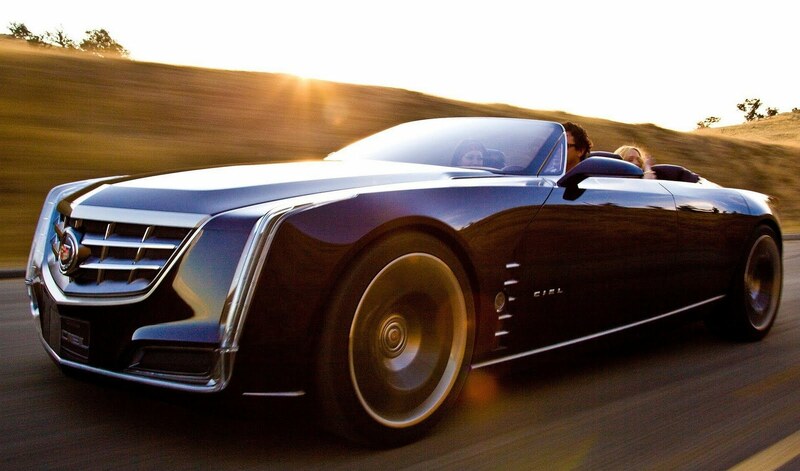 Cadillac recently bowed the Ciel concept at the Pebble Beach Concours d’Elegance in California. 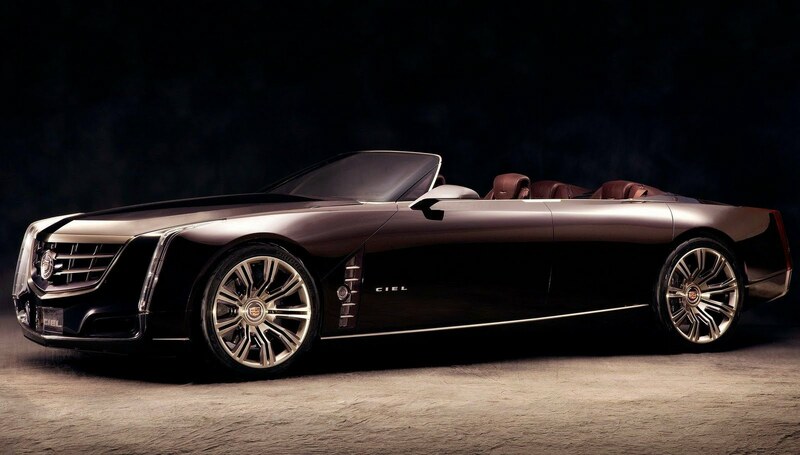 The Ciel - pronounced “C-L”, the French translation for sky – is a four door, four passenger “open-air grand-touring car inspired by the natural beauty of the Californian coast,” according to the brand. The Ciel is 300mm longer than the CTS with power coming from an 425bhp (431PS/317kW) 3.6 litre twin-turbo V6, that linked to a hybrid system. With drive going to all four wheels, the total torque output is 583Nm (430lb-ft). 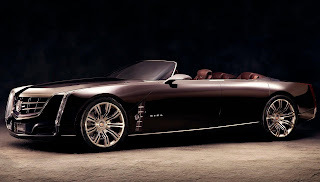 "Large, expressive luxury is innate to Cadillac and the Ciel recalls that heritage, while suggesting where the brand can go in the future," said Clay Dean, global design director for Cadillac. "Authentic luxury is driven by experiences, not just products, and Ciel is about the experience of the journey." The Ciel Concept cabin features Italian Olive wood, LED lights, chrome highlights, and rides on 22” brushed nickel-plate, milled-billet aluminium wheels. 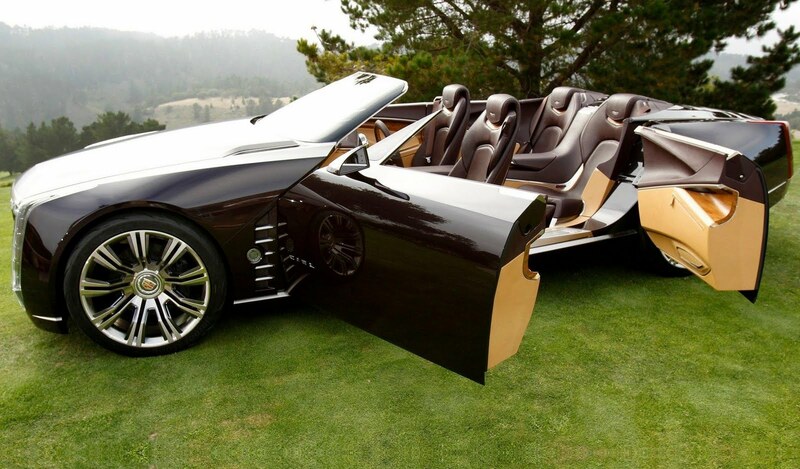 PEBBLE BEACH, Calif. - Cadillac today unveiled the Ciel. 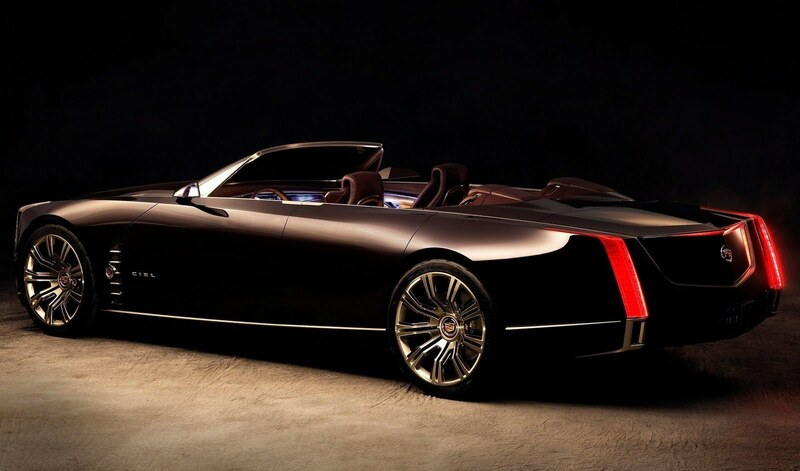 Cadillac Ciel Concept Celebrates the Journey concept, an elegant, open-air grand-touring car inspired by the natural beauty of the California coast. 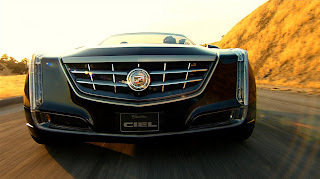 The Ciel - pronounced "C-L," the French translation for sky - is a four-seat convertible that opens a new chapter in Cadillac's design and product ascent, pushing the brand's Art & Science philosophy into a new stratum. 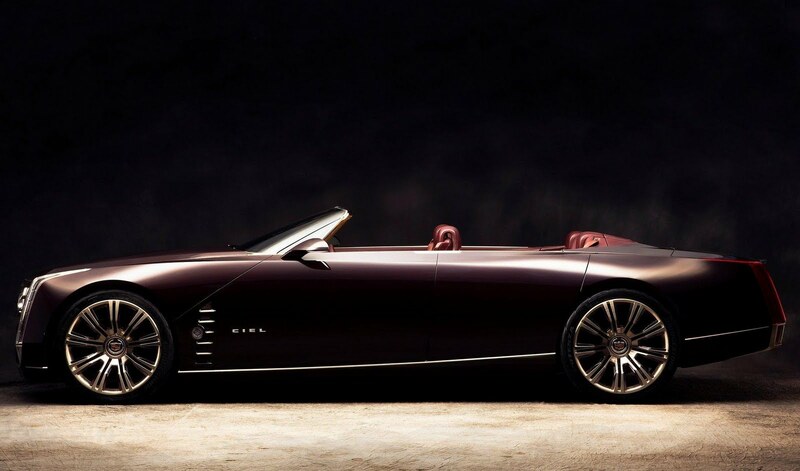 Ciel is a new expression of Cadillac's historical grandeur, as well as a celebration of open-air motoring. The spacious and elegant Ciel is a grand gesture that explores themes driving Cadillac's explorations into range-topping flagship luxury. It is powered by a twin-turbocharged version of the 3.6-liter Direct Injection V-6 engine, paired with a hybrid system using lithium-ion battery technology. 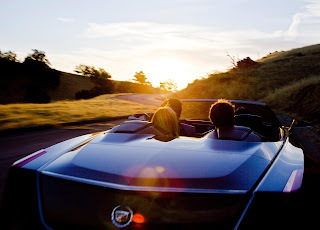 Driving California's Highway 1 in an open car while the sun sets, from Big Sur north to Monterey, is the type of journey the Ciel team envisioned during its design. "The Ciel is about the romance of the drive," said Dean. "It emulates the great touring cars seen on the greens at Pebble Beach, but with a modern flair that projects Cadillac's vision for the future." The four-door Ciel embraces the social aspects of a recreational journey, with generous room for two couples. It evokes the spirit of the classics with a long, low proportion. The doors are French-style, with the rear doors hinged at the rear - there is no B-pillar - to reveal a sweeping view of the dramatic interior. Distinguishing fender lines run from nose to tail, and nickel-plated bright work accents the body lines, enhancing the visual length of the car and honoring Cadillac touring cars of the past. 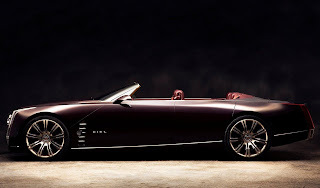 Ciel's exterior flows seamlessly into the cabin, with the body color rolling over on top of the interior door panels. Like the exterior, the passenger space is accented with sweeping nickel-plated trim. It divides the body-color upper sections from a complementing beige lower color. Italian Olive wood, machined aluminum and hand-tipped leather are elements that flow through the interior, complementing the primary colors with warm, rich tones. "There is authentic craftsmanship in the way the exterior and interior elements meld, much like a vintage wooden boat," said Gael Buzyn, interior design manager. "It is romantic, not only in its form, but the materials - nothing smells as good as real wood and leather. It blends together for a rewarding feeling of uncompromising luxury." A prominent, polished aluminum windshield frame serves as in important structural element of the vehicle, as well as aesthetic one, recalling classic open cars of the past. Additional exterior cues, including a shield grille and vertical lighting elements, are pure Cadillac, but suggest a more organic interpretation of the brand's signature design language that emphasizes the artistic and natural sides of it. The body sides, for example, are more rounded, sweeping upward. Bright work is used to bring contrast to the deep paint color, but plays a more supporting role. The car rides on large, beautifully finished wheels that feature brushed nickel plating over milled billet aluminum, matching the materials and appearance of other trim. Carbon ceramic brake rotors are visible behind the 22-inch rims, a visual clue to the Ciel's foundation of performance. And owing to Cadillac's heritage of advanced technology, the headlamps and taillamps feature LED lighting elements - including a unique daytime running light graphic on the front of the vehicle that is generated with gradated LED lighting. Simplicity, authenticity and spaciousness were the guiding principles when it came to developing the Ciel's interior. "With the Ciel, the journey is the thing, so the interior is a place of uncompromising comfort and elegance, with technology that only makes the journey more enjoyable," said Buzyn. "Simplicity and lightness ensure nothing distracts from the open driving experience, while the color and materials lend the feeling that the vehicle's environment blends with the surroundings." A wheelbase of 125 inches - about 12 inches longer than a CTS sedan - provides generous space. 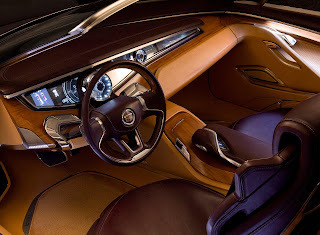 Luxurious seats are bisected by a "floating" center console that runs from the instrument panel to the rear of the interior. It effectively creates a very personal space for each passenger and houses access to hidden connectivity portals for each person in the vehicle - allowing them to make dinner reservations, check the weather at their destination or even upload photos of the trip via social media sights. Simplicity is also the watchword with the Ciel's instrument panel, which features a minimalist gauge cluster that doesn't impede or distract from the outward view. 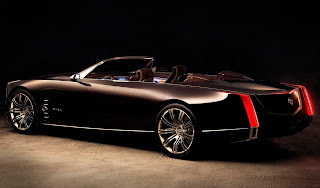 But while reserved in its form, it exemplifies Cadillac's attention to details and its priority on authentic materials. The climate vents, for example, are mostly hidden and their airflow is distributed indirectly. * All the seats have heating and cooling features, along with a drawer containing sun lotion, sun glasses and towels, as well as aromatherapy that is controlled from the rear armrest. But perhaps the defining element of the Ciel's cabin is the incorporation of Italian Olive wood on the doors, instrument panel, console and the front seatbacks, adding warmth and craftsmanship to a car designed to provoke an emotional response. "Milled solid wood delivers richness and a sensual feeling of authenticity in the visual impact of the grain, its feel and aroma, which a veneer simply cannot," said Buzyn. "Even in our high-tech, connected world, luxury customers crave touches of old-world craftsmanship - the Ciel simply reflects that with a blend of the latest technology." "From the materials used to create it to the space and experience it offers passengers, the Ciel represents a unique perspective on luxury, but not the only one," said Dean. "Along with other concepts, such as the ULC, Cadillac is demonstrating that the bandwidth of the Art & Science philosophy is wide, indeed - and we're going to make it even wider." 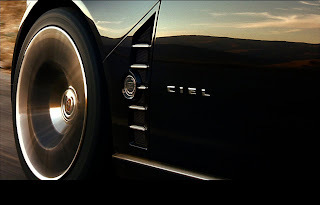 The Ciel was developed at GM Design's North Hollywood Design Center, which is managed by Frank Saucedo. Niki Smart was the lead exterior designer, with Buzyn leading interior development.